In this episode, we speak with Samuel Renihan about the doctrine of divine impassibility. Rev. Renihan is the pastor of Trinity Reformed Baptist Church in La Mirada, California and the editor of God without Passions: A Reader. Westminster Confession of Faith 2.1, that “There is but one only, living, and true God, who is infinite in being and perfection, a most pure spirit, invisible, without body, parts, or passions . . .” We explore the theological tradition behind that declaration as well as its implications. If you would like to learn more about the doctrine of divine impassibility, listen to Rev. Renihan’s six-part audio series on the subject, which you can find at The Confessing Baptist. 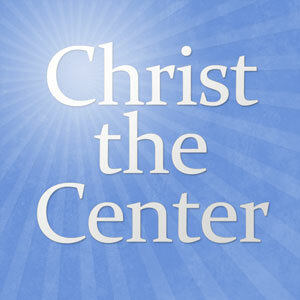 You can also listen to our interview with James Dolezal on Christ the Center episode 237. How does Scott Oliphint’s covenantal properties thesis square with the doctrine of Impassibility, as described here? It appears that Oliphint might not agree with some of the discussion here about God “changing His mind,” or “being brought to wrath.” Several who are writing on Impassibility have taken aim on Oliphint’s book “God With Us” (e.g., James Dolezal, Charles Rennie, and some of the writings coming out of ARBCA). I’ve even heard Oliphint’s position described as “modified theism.” I’m wondering if Oliphint’s thesis in “God With Us” can be reconciled (or operate within) the orthodox, historic position of divine Impassibility? Can God take on covenantal properties while remaining impassible (and simple and immutable)? It seems language in here precludes such a position. What are your thoughts? Another podcast (that Im sure you know well) recommended “Does God Suffer?” by Thomas Weinandy that broaches this subject. I picked it up but havent yet read it. Looking forward to it though. I was thinking the same thing Brandon mentioned above when listening to this podcast. Dr. Oliphant’s book cleared up a lot of questions for me (after the 3rd reading! Ouch! ), but how does it square with Rev. Renihan’s position. I recall Dr. Oliphint and Dr. Dozel differed on a few things as well. Im sure there is room for disagreement, Im just not sure how they would frame those disagreements. Pastor Renihan is in agreement with the position paper, which is in disagreement with Oliphint. They specifically quote him in the paper. Thanks Brandon. First ones on me. I was somewhat disappointed that the conversation did not probe the disagreements within the reformed community and issues such as eternal justification. Perhaps Samuel Renihan and Scott Oliphint might appear together on a future episode.